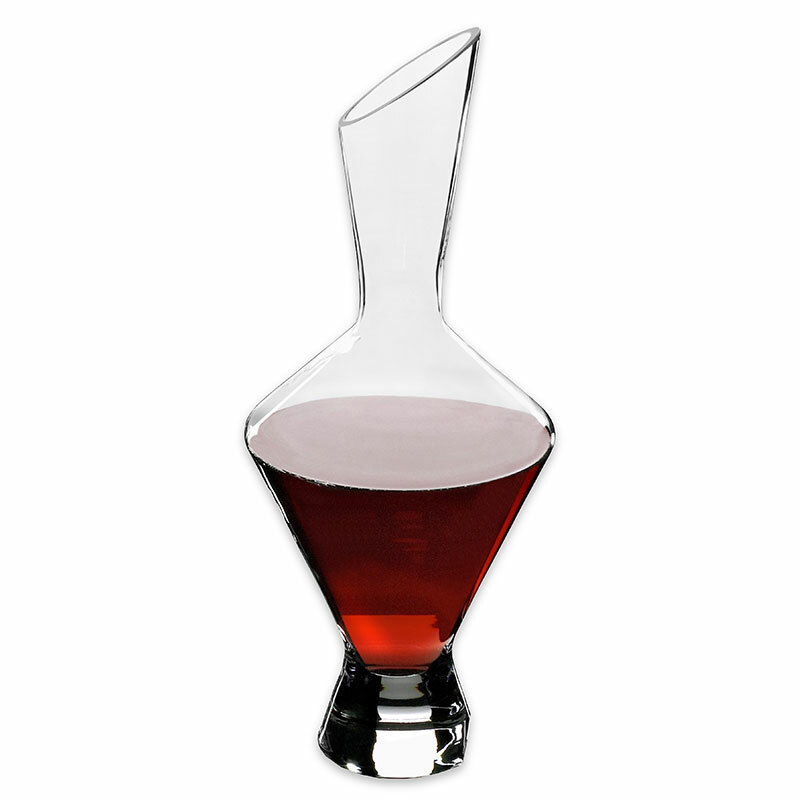 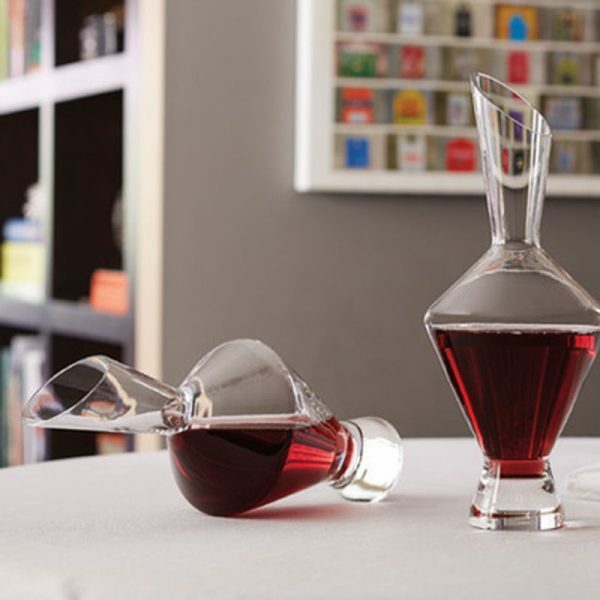 Exceptional decanter, encourages red wine to ripen and bloom. 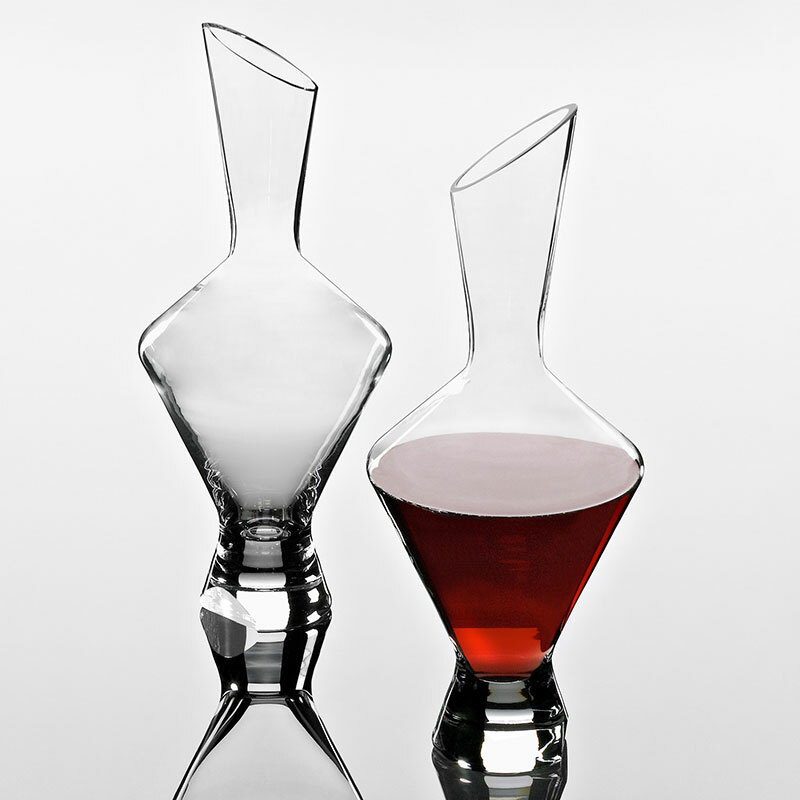 Slender and statuesque, the Shiraz Decanter lends a hand to the oxygenation process of all red wines. Stand tall or rest the Shiraz Decanter on its unique chamfered side.